Heigh Ho, Heigh Ho! It's into your collection they go! 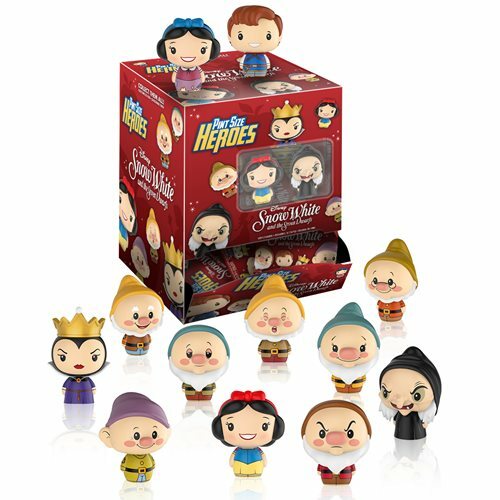 From Disney's celebrated classic Snow White and the Seven Dwarfs comes this wave of Pint Sized Heroes. Including Snow White, Dopey, Doc, and more, each character measures approximately 1 1/2-inches tall and comes packaged in a blind foil bag. Ages 3 and up. This Snow White Pint Size Heroes Mini-Figure Random 6-Pack includes a total of 6 mini-figures. Breakdown not available at this time.